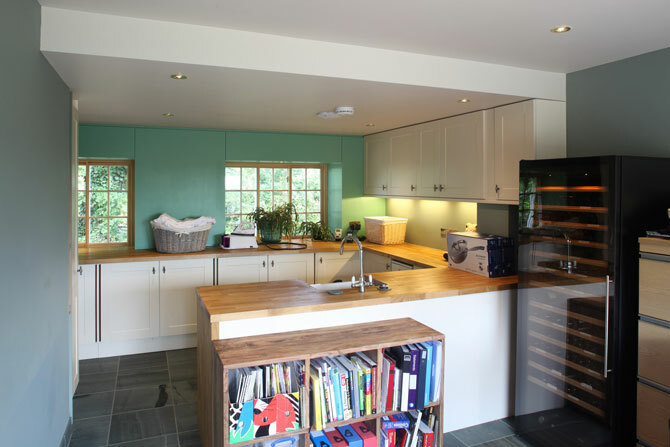 The design involved converting the double garage into a new main entrance lobby, study, utility area and cloakroom. 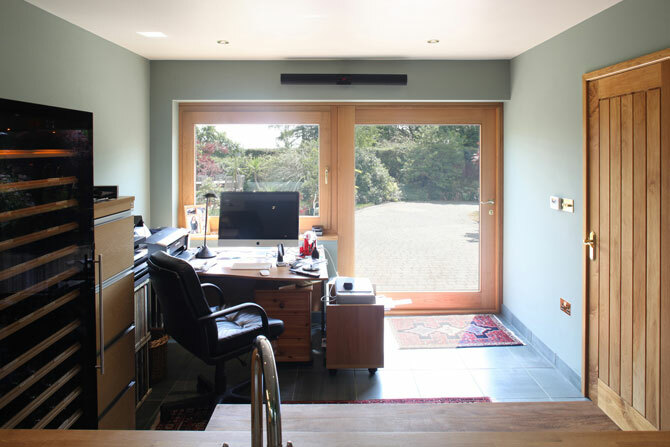 A glazed oak screen unites the garden elevation, including the new entrance door, and a sliding door and opening window to the study. 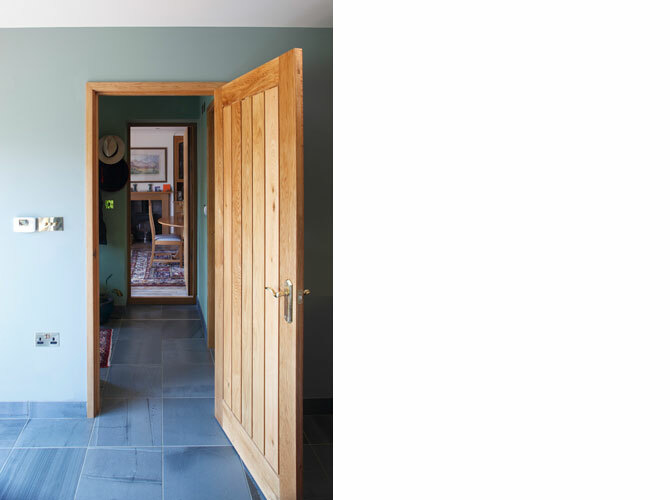 Materials used in the internal conversion include Lake District slate flooring and European oak. 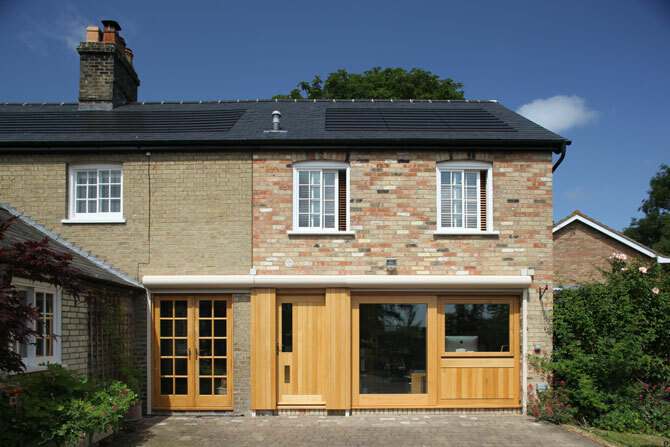 External roller shutters provide night-time privacy (in lieu of internal curtains or blinds), insulation, solar shading and security. 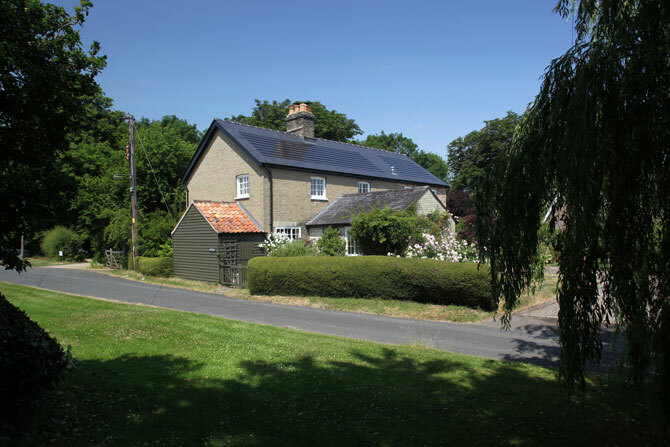 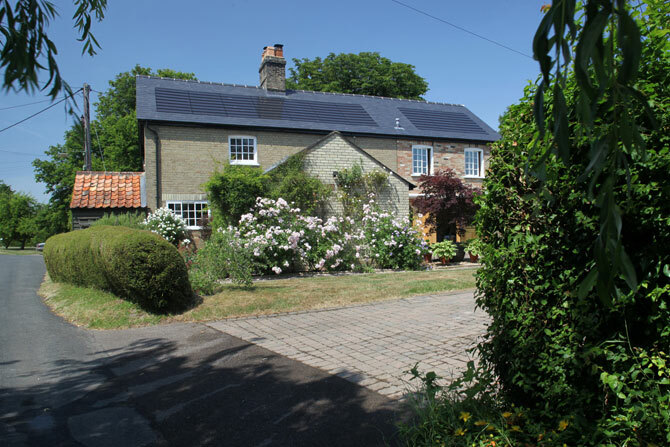 A later phase included renovating the main roof of the house, replacing the slates and installing integrated photo-voltaic solar panels set flush with the slate roof.